From the moment he was sacked at Fox News earlier this year, Bill O'Reilly has vowed payback. He's insisted that the same "far left" forces he spent years railing against on his nightly program helped amplify the allegations of sexual harassment against him, and that the claims themselves were bogus. Now, with a book to promote and redemption on his mind, O'Reilly is on the offensive. "My conscience is clear," O'Reilly said Tuesday in an interview with "Today" show co-host Matt Lauer. "What I have done is organized a legal team to get the truth to the American people." In his interview with Lauer, O'Reilly was at turns terse and combative. He once again denied the allegations that had been levied against him, and claimed that he had never once had a complaint filed to human resources against him in his 42-year-long career. Even if that is true, though, it omits one important detail: O'Reilly, Fox News and its parent company 21st Century Fox settled lawsuits with at least five different women who accused him of sexual harassment or inappropriate behavior. One of the women had made recordings of some of the offending conversations, the New York Times has reported. After a long reign as the top-rated host on all of cable news, O'Reilly was let go by Fox News in April following a report in the Times that brought the settlements to light. O'Reilly told Lauer that Fox executives gave him "no reason" for the firing. "They had a contractual clause that they could pay me a certain amount of money and not put me on the air, and they exercised that," O'Reilly said. The bombshell report by the Times prompted dozens of sponsors to leave his now-canceled show, "The O'Reilly Factor." O'Reilly said Tuesday that the advertiser boycott, which he blamed on a variety of liberal groups like Media Matters and Color of Change, was the primary factor in his ouster. "Is this a vast left-wing conspiracy?" Lauer asked incredulously. "Not vast," O'Reilly shot back. "And don't be sarcastic." He once again promised more information on the forces that engineered the advertising boycott. And while O'Reilly has consistently portrayed this information as secret and hidden, the liberal groups that called for his firing have happily promoted their efforts. 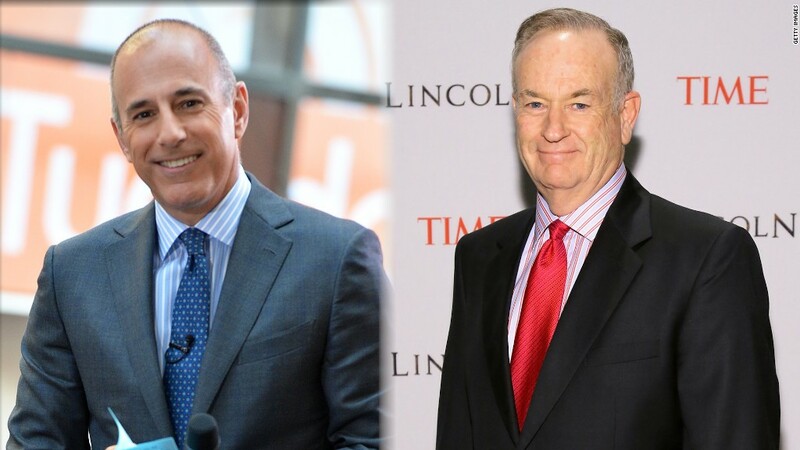 "We'll be able to prove what we say," O'Reilly told Lauer. "There are more things to come." O'Reilly's revenge tour began Monday morning, a day before the latest book in his blockbuster "Killing" series, "Killing England," was due to hit shelves. "[I]t is necessary to expose the evil in play in this country," he said on Twitter. "More to come."